In 1934, former U.S. Forest Service ofﬁcial Aldo Leopold, a godfather to the modern environmental movement, wrote that restrictive laws had largely failed in their mission to conserve Americas forests, rivers, and other natural resources. Less than forty years later, however, as various events pushed environmental concerns into the public spotlight, lawmakers from both parties championed legislation far more sweeping and restrictive than any Leopold had witnessed. How well did these restrictive laws work to right environmental wrongs? Why did so many miss the mark? And how should we go about improving our policies? In Nature Unbound, authors Randy Simmons, Ryan M. Yonk, and Kenneth J. Sim offer a devastating critique of federal environmental policy by scrutinizing it through the lenses of biological ecology and political ecology. This powerful framework, they show, reveals that environmental policy has been guided since the late 1960s by demonstrably false assumptions responsible for a host of ineffective or wasteful, command-and-control policieson air pollution, water pollution, endangered species, wilderness, renewable energy, and more. The mistakes have also empowered political entrepreneurship in ways that have encroached on property rights, burdened the general public, and degraded the civic landscape. More than a critique of false assumptions and flawed policies, Nature Unbound offers bold principles to help us rethink environmental objectives, align incentives with goals, and afﬁrm the notion that human beings are an integral part of the natural order and merit no less consideration than Earths other treasures. Ultimately, nothing less can succeed in our efforts to restore natural resources and revitalize our social and political ecosystem. Federal environmental policies have fallen short of the promised goals. The Clean Water Act has not eliminated pollution from every waterway in the United States. The Endangered Species Act has discouraged property owners from protecting threatened species and their habitats. The National Environmental Policy Act hasnt fostered harmony between various policy goals. The Clean Air Act is far less responsible for improving air quality than other factors. Renewable energy legislation has wasted resources, not conserved them. State and local governments were getting better at reducing air and water pollution before the federal environmental legislation of the late 1960s and early 1970s. The federal government got involved because the public mistakenly believed pollution was getting worse. Leaders of both the Democratic and Republican parties trumpeted federal regulation as a way to win support from an uninformed electorate caught up in environmental hysteria. Also, political entrepreneurs realized that its much easier to lobby one level of government than to lobby fifty states and their local governments. The Clean Air Act may not be responsible for nationwide improvements in air quality. The data are inconclusive. In contrast, the laws negative effects on economic growth are well established. In its first 15 years, it caused the loss of 590,000 jobs in counties and states that failed to meet EPA standards. Regulations further led to the loss of $39 billion in capital stock and $75 billion in output in industries judged to be pollution intensive. The natural gas industrya chief rival of coal makersmay have benefited from the Clean Air Act the most. The Wilderness Act has led to restrictions that are not ecologically justified. Under the Act, lightning-ignited fires are allowed to burn, but human-ignited fires are not. Bare ground may be mitigated if humans or domestic livestock cause its condition, but not if the land was made bare by wild elk or deer. Beetle infestations may be deemed acceptable even if they degrade scenic landscapes. The Wilderness Act sees humans and the environment as mutually exclusive concepts. However, quarantining land from human impacts and expecting nature to freeze in time does not work. In 1934, former U.S. Forest Service official Aldo Leopold, a godfather to the modern environmental movement, wrote that restrictive laws had largely failed in their mission to conserve Americas forests, rivers, and other natural resources. Less than forty years later, however, as various events pushed environmental concerns into the public spotlight, lawmakers from both parties championed legislation far more sweeping and restrictive than any Leopold had witnessed. 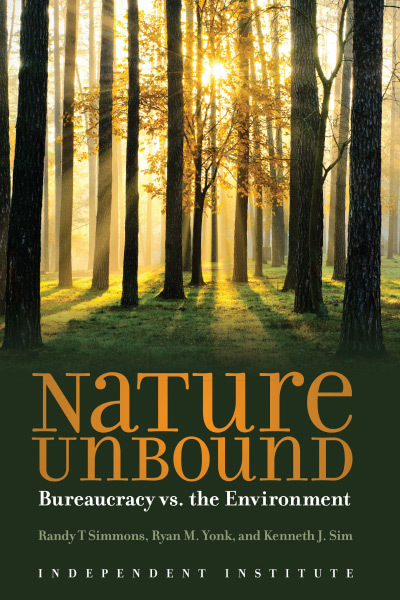 In Nature Unbound: Bureaucracy vs. the Environment, authors Randy Simmons, Ryan M. Yonk, and Kenneth J. Sim offer a devastating critique of federal environmental policy by scrutinizing it through the lenses of biological ecology and political ecology. This powerful framework, they show, reveals that environmental policy has been guided since the late 1960s by demonstrably false assumptions responsible for a host of ineffective or wasteful policieson air pollution, water pollution, endangered species, wilderness, renewable energy, and more. The mistakes have also empowered political entrepreneurship in ways that have encroached on property rights, burdened the general public, and degraded the civic landscape. More than a critique of false assumptions and flawed policies, Nature Unbound offers bold principles to help us rethink environmental objectives, align incentives with goals, and affirm the notion that human beings are an integral part of the natural order and merit no less consideration than earths other treasures. Ultimately, nothing less can succeed in our efforts to restore natural resources and revitalize our social and political ecosystem. Nature Unbound begins by looking at the relationship between beliefs about science and beliefs about politics, and how this has affected environmental policy. Among the most pervasive beliefs is the balance of nature doctrine, which holds that the environment will take care of itself if we simply let nature take her course. This idea is false. Natural processes do not ensure biodiversity; ecosystems are constantly changing in ways that favor some species at the expense of others. Ecologists and other environmental scientists have discarded the balance of nature doctrine, but its influence on policymakers, environmental groups, and the public endures. Another enduring myth is that the democratic process yields policies that tend to serve the general welfare and are self-correcting when they dont. This view is false for many reasons. Politics favors emotion over science, and it rewards clamoring about ecological crisis even when a problem is mild and limited. Politics also favors the shifting of environmental policy from the states to the federal government, because its much cheaper to lobby one governmental entity than fifty separate ones. These and other factors create opportunities for political entrepreneurs to seek advantages in ways that undermine a sound approach to environmental policy. Thanks to politics, even our environmental vocabulary has been politicized. Terms like nature, wilderness, and natural invoke images and ideals unfamiliar to earlier generations in American history. Nor would our forbearers have recognized the current approach to managing land use and natural resources. For most of American history, local governments and the courts set air pollution policies. This changed with passage of the first Clean Air Act in 1963 and the Air Quality of Act of 1967. Those laws authorized the federal government to set air pollution policies for the entire nation, but the policies were not applied in every region. Thus, federal policies were probably not the cause of nationwide improvements in air quality by the end of the 1960s. The likely causes were state and local regulations and the adoption of cleaner technologies. Despite the improvements, many Americans believed the nation was experiencing an air pollution crisisand both Democratic and Republican leaders hoped to ride that sentiment to Election Day victories. President Nixons Clean Air Act of 1970 empowered the newly created Environmental Protection Agency to set acceptable levels for various air pollutants and to deal with states deemed noncompliant. However, the law failed to satisfy both environmentalists and polluters, and it launched an arms race between competing interest groups jockeying for political advantage. Amendments to the Clean Air Act, added in 1977 and 1990, increased federal authority, but evidence of its lasting improvements to air quality is scant. Its effects on jobs and economic growth, however, are demonstrably negative. Also, the federal Clean Air Act has crowded out a decentralized, state-led approach to air quality that seemed to have been working. Less familiar to the public is the National Environmental Policy Act, a cornerstone of federal law. NEPA spells out legal procedures for policy enforcement and sets an overarching priority: Environmental policies should encourage productive and enjoyable harmony between man and his environment. This loose wording is a source of countless problems. NEPA has failed in its mission to help harmonize human needs and the environment, but it has succeeded in benefitting a small group of political entrepreneurs. Formally known as the Federal Water Pollution Control Act of 1972, the Clean Water Act was supposed to eliminate pollution from the nations waterways by 1985. The failure to meet this goal underscores the inferiority of federal involvement in environmental policy compared to the earlier reliance on the common law. Under the common law, judges enforced clean-water standards based on private property rights. Because businesses and cities knew they would be found liable for polluting their neighbors water, they acted more responsibly. In contrast, political entrepreneurs are able to manipulate CWA to their own advantageoften to the detriment of water quality. Moreover, the courts have ruled that state standards for water pollution could not be set higher than national standards set by CWA. CWA has had some successesmore U.S. waterways are deemed clean enough for fishing and swimming, and much more tap water is deemed safebut overall the law has resulted in suboptimal policies and lost opportunities for water-quality enhancement at the state and local level. No piece of legislation embodies the balance of nature ideology more completely than the Endangered Species Act of 1973 (expanded in 1982). ESA attempts to save all endangered species (as well as subspecies and unique subpopulations) regardless of economic cost. It is based on emotion and symbolism, and it creates rich opportunities for political entrepreneurship. Under ESA, land-use restrictions usually follow after an endangered species is found on a parcel of land. This creates perverse incentives. It encourages landowners to shoot, shovel, and shut up; to preemptively destroy habitat; and to extract resources as soon as possible in order to avoid becoming subject to stifling land-use constraints. ESA treats all protected species as equally deserving of protection. Thus a keystone species, which plays a large role in an ecosystem (e.g., the beaver, because it builds dams), is to get no more protection than a less critical species (e.g., the kangaroo rat or the grizzly bear) or a naturally rare subspecies (e.g., the Canada lynx and the North American wolverine, whose habitat is far more prevalent above the U.S.-Canada border). The Wilderness Act of 1964 restricts or completely prohibits most human activity in national parks, forests, and wildlife refuges. Even active management on behalf of wildlife may be deemed suspect. But a hands off approach can yield disastrous outcomes for the environment. A policy of allowing forest undergrowth to accumulate has fueled massive fires; allowing the mountain pine beetle to proliferate has devastated the Black Hills National Forest. Political entrepreneurs routinely exploit these flaws. A prime example is the coalition that succeeded in getting parts of the Colorado Plateau and the Great Basin Deserts in Utah designated as federally protected wilderness. Federal policies on renewable energy are both a product and a benefactor of political entrepreneurship. The case of the solar power company Solyndra is a good illustration of the problem. The firm began in 2005 with a unique new technology to lower the cost of solar cells. It seemed promising at first, but it failed to make a profit. Less than two years after its founding, Solyndra applied for federal loan guarantees under the Energy Policy Act. Amidst concerns by the GAO and members of Congress, its application was rejected during the last weeks of the Bush administration. 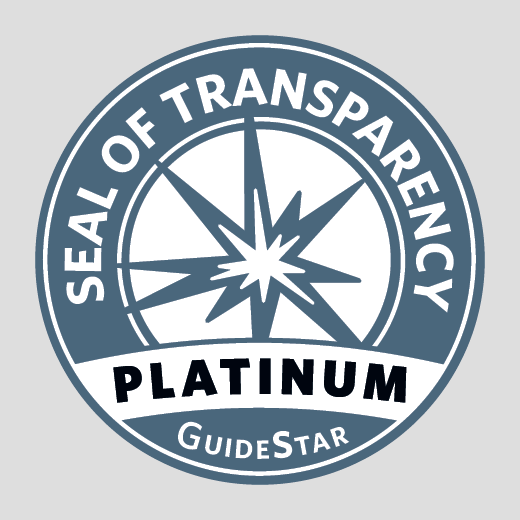 During the first year of President Obamas administration, however, Solyndra was awarded loan guarantees under a different program: the economic stimulus package. This occurred despite new concerns about its finances and competitiveness. Solyndras subsequent bankruptcy embarrassed the White House and the Secretary of the Department of Energy Secretary Steven Chu, but their gamble of public funds probably seemed like a good political risk at the time. President Obama could make good on a campaign promise to promote eco-friendly products; Secretary Chu could save his joband possibly increase the power of his agency; and Solyndras executives had little to lose and much to gain. Environmental policies have failed due to inherent design flaws. How should we move forward? Nature Unbound offers five principles for redesigning and incentivizing institutions to perform as needed. It then applies those principles to the Clean Water Act, the National Environmental Policy Act, the Endangered Species Act, the Wilderness Act, the Clean Air Act, and the Energy Policy Act. Will America enact environmental policies based on sound principles? The authors of Nature Unbound are cautiously optimistic. We recognize that political pressures work against such redesign, but we remain pragmatically hopeful, they write. Rodney T. Smith, Ph.D., President, Stratecon Inc.